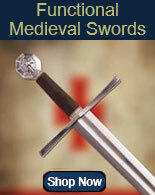 Cold Steel Swords for sale include a diverse selection of functional pieces. 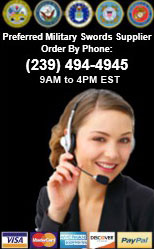 Shop with confidence that these are official Cold Steel items from one of the top manufacturers. 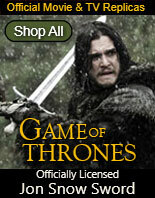 Buy all types of swords, knives and canes from Cold Steel on sale now. 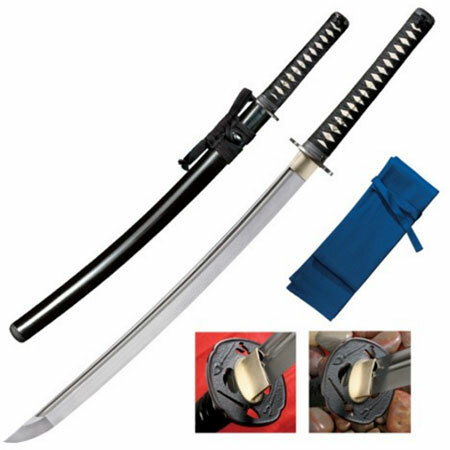 Cold Steel Warrior Series Chisa Katana Swords for sale are 36 inches in all and weigh 37.1 ounces. These Chisa Katana are part of the Warrior Series of swords which feature a traditional Japanese shape and practical fittings. The functional and sharp 24 ½ inch blade is made of 1055 carbon steel. The 11 ½ inch handle features real ray skin and a traditional Japanese wrap of black silk braided cord. 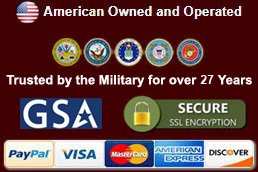 They have a brass Menuki, black lacquered wooden scabbard and a sword bag. 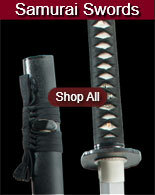 Buy the Warrior Series Chisa Katana Swords for $359.99.